Speech anxiety is a common phobia. Common in the sense that most of us have this uneasy feeling of talking in front of a group or crowd of people we hardly know. And even if we do know them, we still feel our stomachs twisting and turning inside. Glossophobia, or the severe fear of public speaking, can range from the onset of slight nervousness to total paralysis. Those who fear speaking in public usually end up shaking and stuttering. People suffering from extreme speech anxiety experience the following: Their voice weakens, their limbs start to freeze and they feel the room starts to spin. They may even sweat, feel blood rush to their face and, in some occasions, can hear their hearts beat so rapidly that they feel they may collapse at any moment. Some people fear public speaking more than they fear death. Gary Genard, the creator of the Genard Method, has listed the top 10 reasons of Speech Anxiety that heighten the fear of public speaking. Here, we cover the common triggers and how to overcome them. Understandably, we never want to be the subject of ridicule, criticism and humiliation. The fear of rejection is so powerful that we would rather sit down than stand up and put our fears on display and never be heard again. Nobody wants to be rejected. Our ultimate goal in socialization is to be accepted. To have a safe place to blend in and be a part of. We all want the acceptance of the people we value and hold dear. So much so that every time we are given a chance to stand and deliver a speech in front of a crowd, we find ourselves thinking of how we can make a good impression. And then, after the event, we are busy thinking of how our audience received the presentation we delivered. We become so consumed with whether the crowd appreciated our presentation that we end up overlooking the most important aspect of the presentation, which is the actual content. All these fears of disappointing, committing a mistake while in the middle of a speech or not making a good impression eventually lead to nervousness. 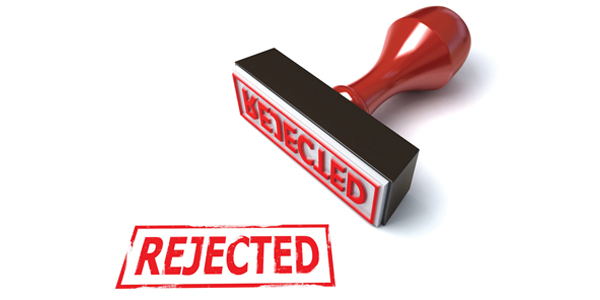 Rejection is one of the top fears for the simple reason that each and every one of us works really hard to create a good image that is socially welcomed and accepted. Instead of ruining that accepted image, we would rather sit down and avoid speaking in front of a crowd. The fear of rejection is a by-product of other fears and negative thoughts. This is the kind of fear that incites a fear of committing mistakes and a fear of disappointing others. 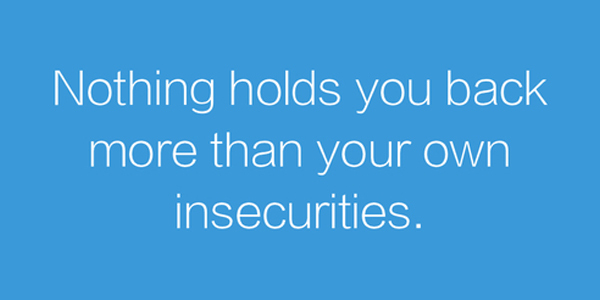 Negative thoughts pop up one by one, making you question your ability and efficiency. You start asking yourself a series of “what ifs,” like what would happen if you forgot what you wanted to say or what would happen if you slip up? What would happen if someone challenges you? Too many negative questions like these support the fear of rejection. Lack of self-confidence stems from past failures or past events in which you failed to solve or act on something. We begin to doubt our qualities and our capabilities even when we feel like we haven't proven to others that we are good, efficient or outstanding. Lack of confidence cultivates self-doubt, and asking a person with these thoughts is like giving them a death sentence. Lack of confidence may also be the result of a past experience that led to the fear. A common case is someone who had an embarrassing experience while talking in front of a large group, which presently holds him or her back from speaking in front of a crowd again. 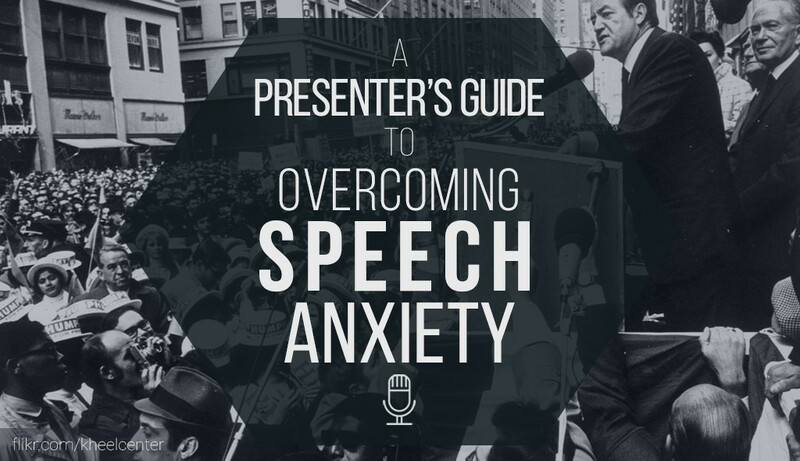 Some people suffer from speech anxiety simply because they believe that their speech disability is an impediment to becoming a good presenter. Again, this is lack of confidence. Stammering and stuttering limit one’s ability to be effective in delivering a speech or a presentation. Poor or insufficient preparation is one of the top reasons for the fear of public speaking. Again, this goes back to the fear of rejection. Fail to prepare and prepare to fail. That’s the rule. If you don’t do the work, don’t expect success. Success comes from determination and preparation. 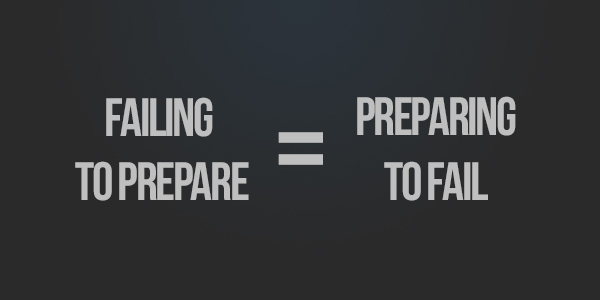 If you prepare hard enough for something, you are most likely to succeed and fend off attacks. Public speaking confidence is founded upon your trust in your content and topic. You will only feel confident sharing ideas if you know they are well researched and backed up by facts. If you know you have prepared every particular aspect of your presentation, you are certain that you can answer every question that may arise during your presentation. In a previous post, A Beginners Guide to A Successful Presentation, we discussed a two-step process that will help improve presentations and public speaking. The first part is all about preparation. And it is no secret that ample amount of time is required to prepare oneself to do something like speaking in public and presenting. With this understanding, it's easy to see that the root cause of speech anxiety are just common fears and negative thoughts kicking in all at the same time. But here is how to eliminate your fears and ultimately limit your speech anxiety. In a nutshell, this method involves identifying the triggers of your rejection worries and confining them so they will not build up and trigger your speaking anxiety. Know what it is that you fear the most. Your fear of rejection stems from your fear of disappointing your loved ones and your friends. Psychologists they tell you to face your fears. 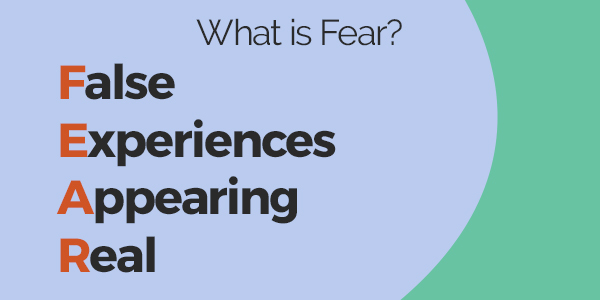 What they mean is to rationalize why you should not have the fear. Understand that the people in the audience who want to be amused and amazed by your presentation are expecting the same thing from you. Instead of thinking about the worst possible outcomes, think of how happy they will be the minute you stand up in front and start sharing your presentation. Dispel your fears with positive thoughts and believe in yourself. If you fear committing a mistake, then practice hard and learn your topic from the inside out. As the old saying goes, PRACTICE MAKES PERFECT. Do the Leg Work. Prepare. Preparation is the key to a successful presentation. Know your topic by heart. Memorize factual data. Research and back up your claims. Ensure that what you are sharing is true, consistent and well-founded by hard research. Nothing beats a well-prepared presentation. Immerse yourself in the information you found in your research. Dig deeper and find answers. The more you look into it, the more you become acquainted with the topic and eventually become an expert on the matter. Organizing the content of your presentation helps a lot with mastery. After you have researched your topic, plan the information that you want to present. 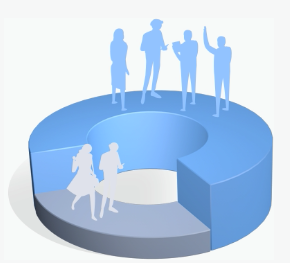 Create an outline of what is the most important aspect of your presentation. If you find yourself wondering about something, research. Don’t stop until you are satisfied with your answers. The more you satisfy your questions, the more confident you become. Find a comfortable space in your home. Get a mirror. Stand in front and watch yourself deliver your presentation. Determine when to move, when to shift sides or use hand gestures. Learn how to modulate your voice. The more you practice, the more you master the content of your presentation and the less likely you are to commit mistakes during your presentation. 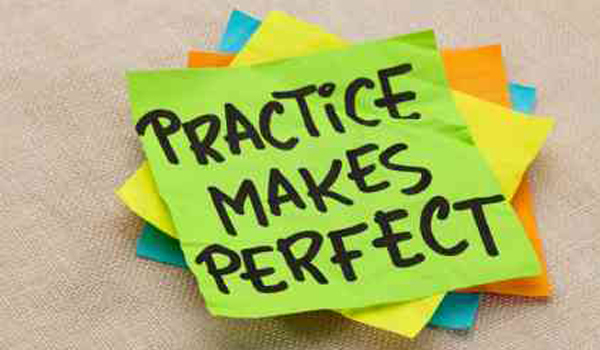 Preparation and practice are the only elements you need to become an efficient and effective presenter. Again, dispel negative thoughts. Think positive outcomes. Believe in the power of positive thinking. Before the presentation, do some breathing exercises to calm your nerves. Walk onto the stage and, once you reach the podium, breathe again. Take a moment of silence to compose yourself and focus on the presentation or speech you have at hand. Look at the center of the audience. Then slowly look to each side. Breathe, then go back to your presentation. Breathe again and start slowly, relieving your mind from the pressure of many stares, and think, you have information they want to hear.